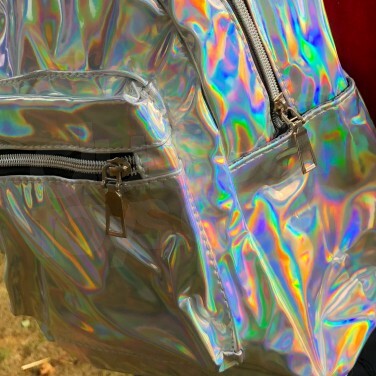 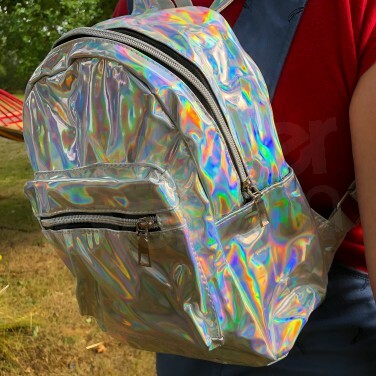 Rock a funky look and keep your valuables safe as you party in a metallic holographic effects silver back pack! 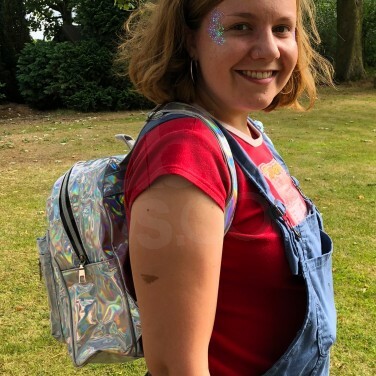 With adjustable straps for comfort and two zipped pockets, it's easy to keep your belongings on you as you party, and because it's PVC, it's waterproof too! 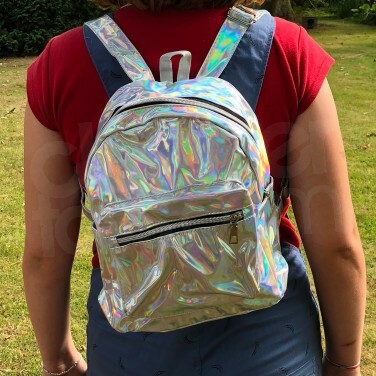 Not only is this funky back pack practical, but it looks great too with a unique holographic effect that see's it shine with ever changing colour!